Killer Tracks, a Universal Publishing Production Music company, has partnered with independent record label Wax Ltd. to launch new production music label Audio Wax. The Audio Wax label will be led by multi-platinum-selling producers/songwriters and Wax Ltd. founders Wally Gagel and Xandy Barry. 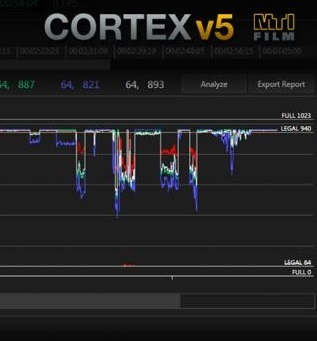 MTI Film will demonstrate the latest versions of Cortex Enterprise, its multifaceted toolset for post production, and DRS™NOVA, the industry-leading digital film restoration software, at IBC 2018, September 14 – 18 in Amsterdam. axle ai, the leader in bringing radical simplicity to video search and collaboration, announced immediate availability of axle ai connectr™, revolutionary new software which lets media teams automate workflows via a drag-and-drop graphical user interface; no programming skills required. axle ai, the leader in bringing artificial intelligence to video workflows, announces the availability of a new software module connecting its systems to Oracle’s Front Porch DIVArchive, the most broadly deployed archive platform today. The software provides archiving and restore capabilities directly to and from DIVArchive via axle ai’s radically simple browser interface. Killer Tracks, a leading source for pre-cleared production music, has reached an agreement with Tel Aviv-based Miles of Music to represent its 10 Miles label in the United States. Specializing in Mediterranean, Middle Eastern and Balkan music, 10 Miles has produced more than 50 albums of original music for movie trailers, television promos, advertising, sports, games and other media.